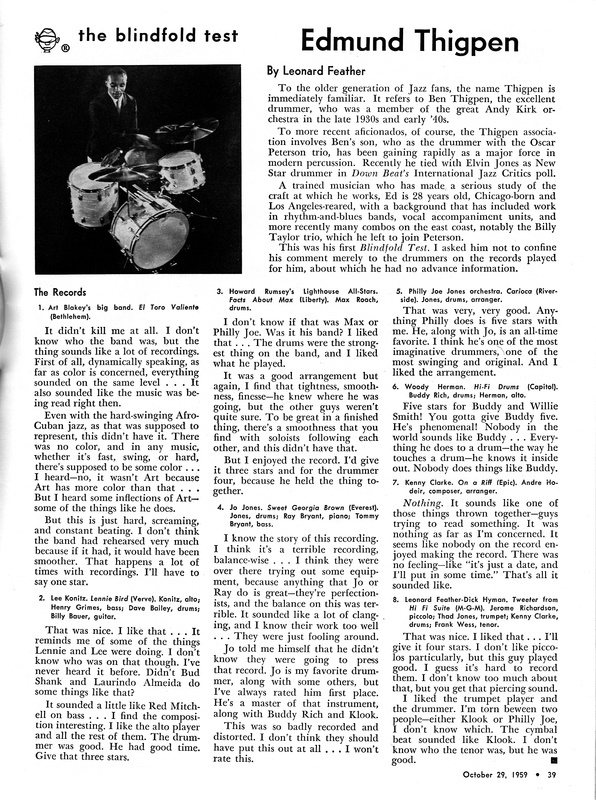 SKF NOTE: Interesting comments from one of the great drummers, Ed Thigpen, on Art Blakey, Max Roach, Philly Joe Jones, Buddy Rich and others. This article is from the 10/29/1959 Down Beat. This entry was posted in Drum/Music News and tagged Blindfold Test, Down Beat, Drummer, Ed Thigpen, Scott K Fish. Bookmark the permalink.